Exo Reptile Cricket Feeders are designed to promote natural feeding behaviour from your pet whilst reducing the amount of supplements going to waste. Fill with 10 - 20 Crickets which will then escape at a slow enough rate for your hungry reptile to eat them as they emerge. 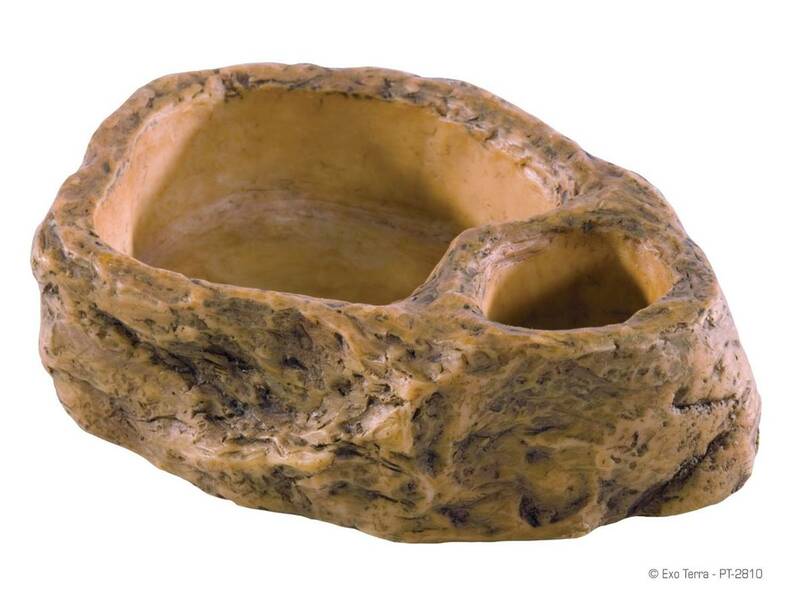 Feeding crickets from the feeding rock can help prevent supplement dust from building up and causing harmful bacteria in substrates. Instead excess supplements will stay in the feeder which can be easily lifted from the enclosure for cleaning and re-use. The very popular natural looking Exo design will blend in well in desert, forest or tropical terrariums and vivariums. The shape and weight of the Exo Feeders means they are difficult to tip over for even the most determined reptile, meaning less cleaning for you and added safety for your pet.